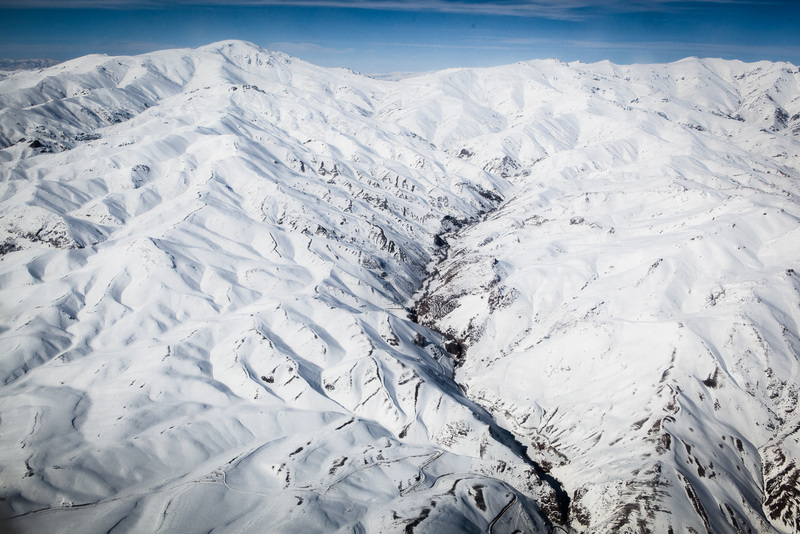 Flight over the mountains of the Hindu Kush, en route to the Bamiyan ski challenge. 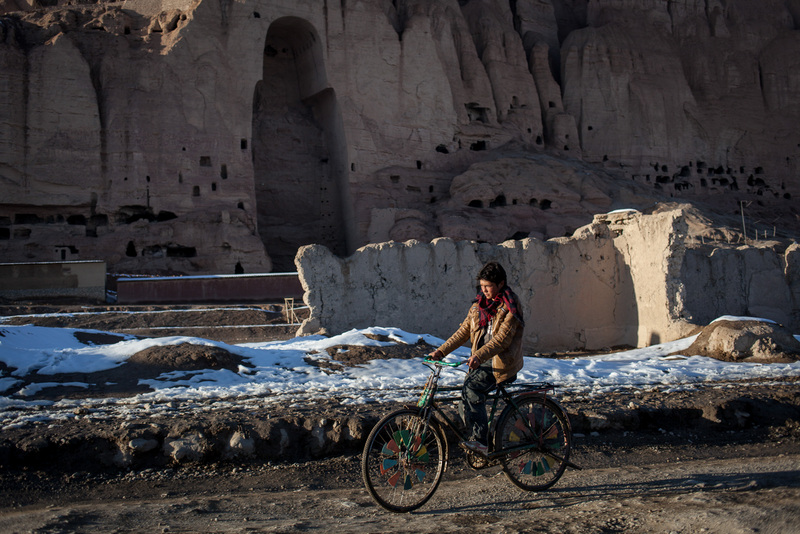 View of Bamiyan and its giant Buddhas destroyed by the Taliban in 2001. 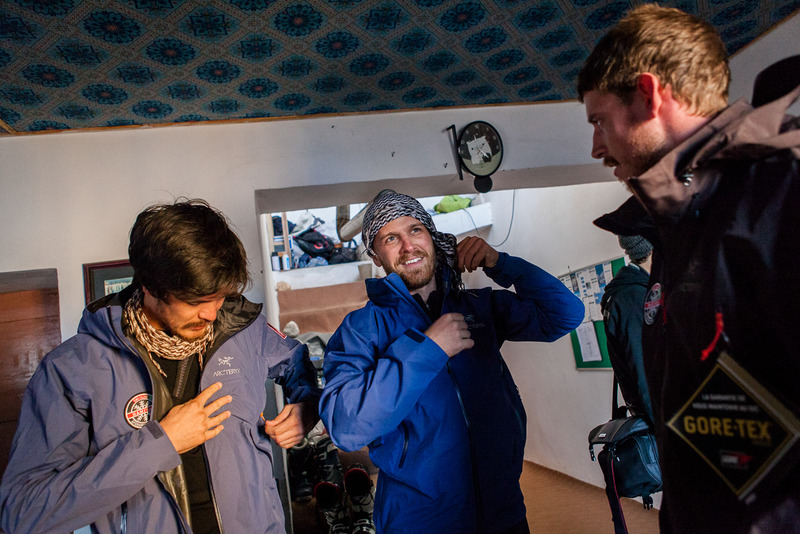 Australian tourists prepare their equipment for their participation in the Afghan ski challenge. 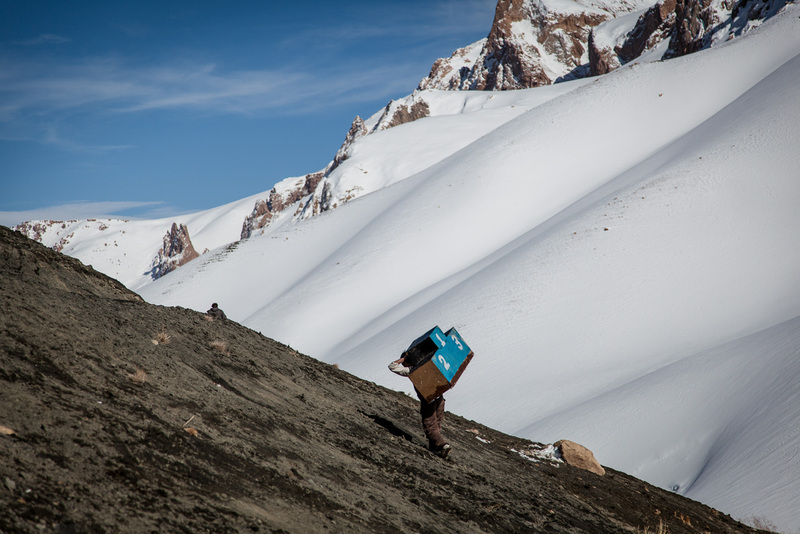 Arriving in the village of the Afghan ski challenge. 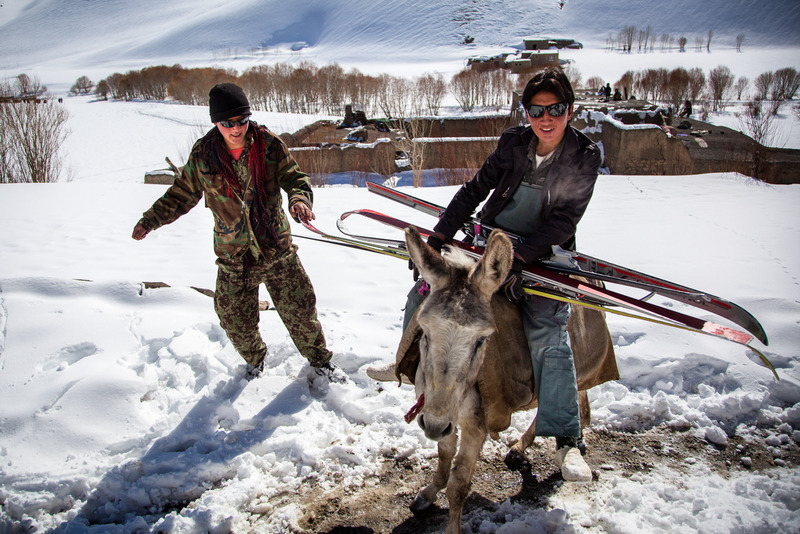 Young Afghans riding a donkey to bring the skis to the start of the Afghan ski challenge. 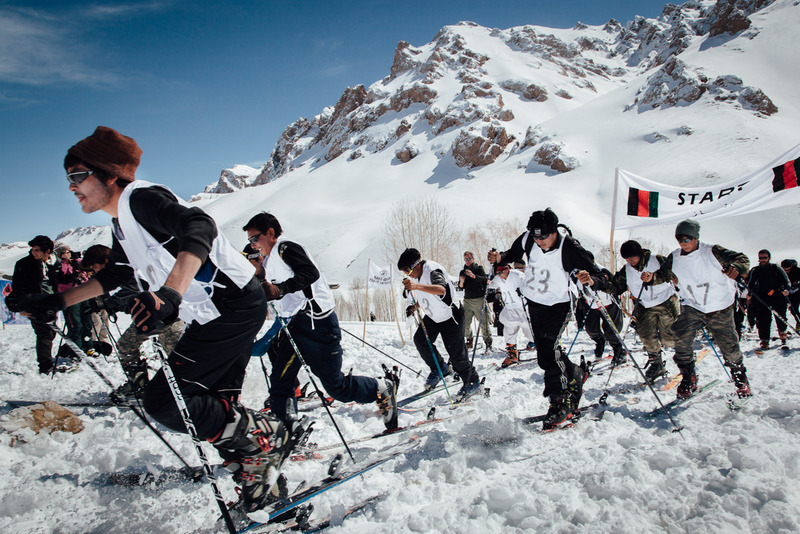 Young Afghans wlking to the start of the Afghan ski challenge. 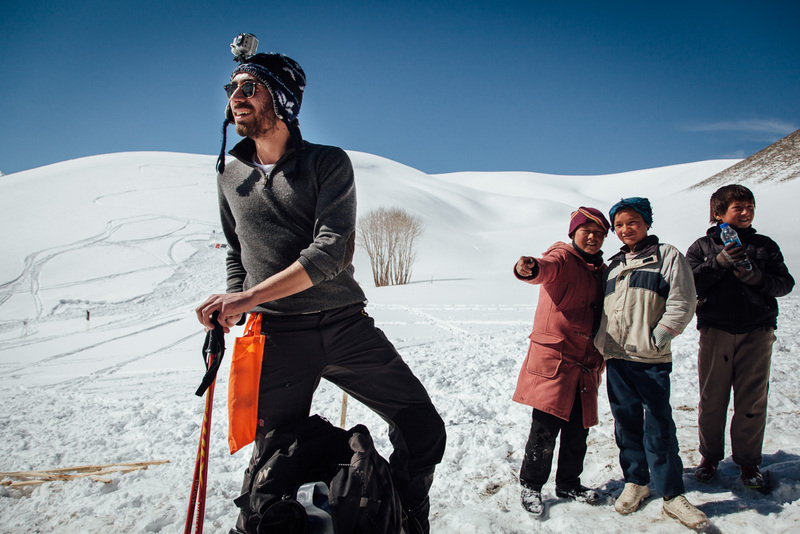 Amaury, French expatriate came to participate in the Afghan ski challenge. He is getting ready for the race. 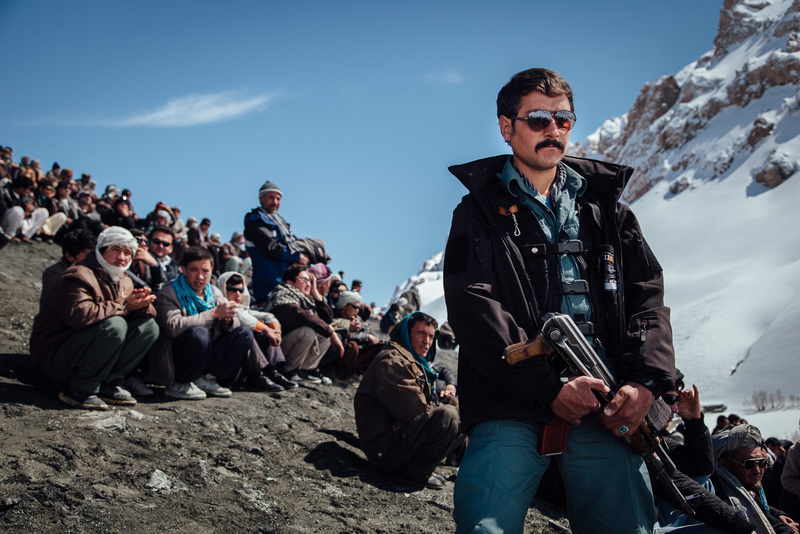 A member of the Afghan security services in the audience who came to watch the Afghan ski challenge. Start of the race the Afghan ski challenge. 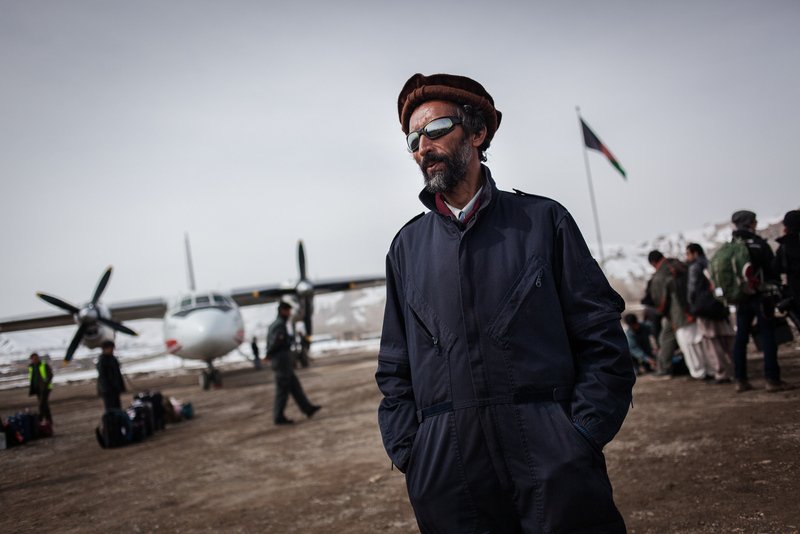 The Afghan participants start on wheel caps. 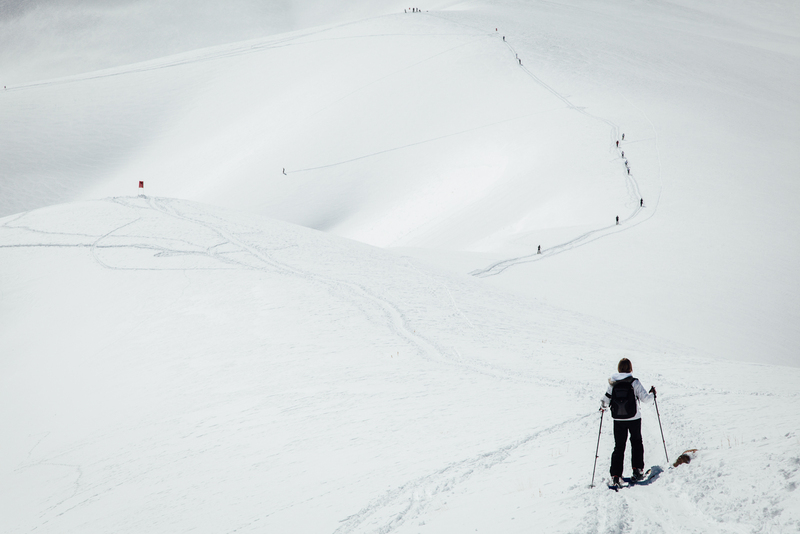 The race consists of several climbs alternating with downhill, on touring skis. 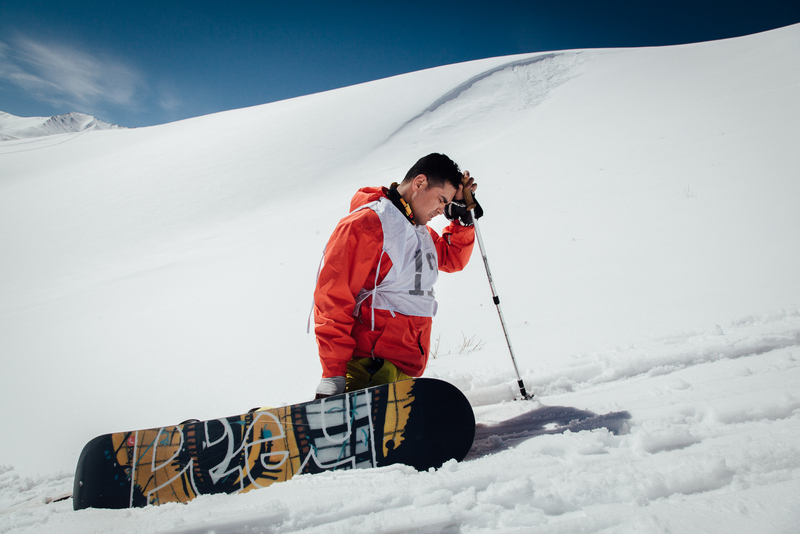 One Afghan participants chose to race with a snowboard. He struggles in the first climb. On top of the first uphill of the race. some participants completed in less than an hour. others will take up to three hours. A welsh participant on top of the first uphill of the race. some participants completed in less than an hour. others will take up to three hours. 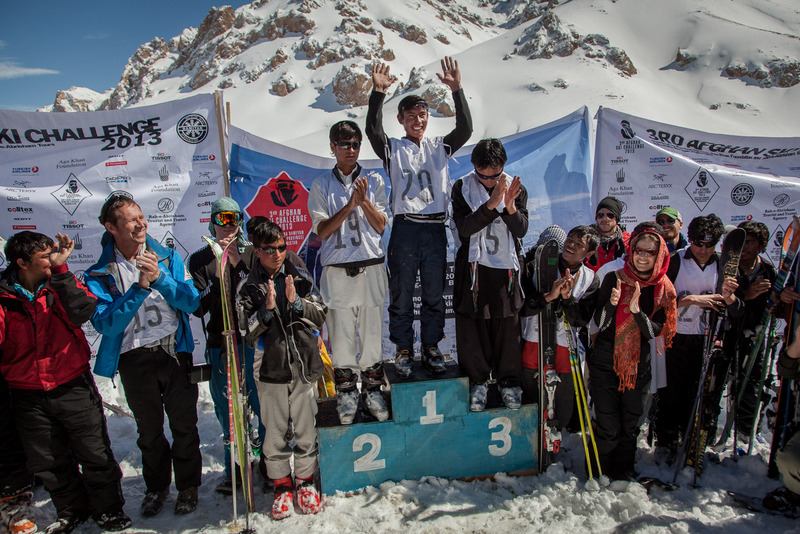 Three Afghan on the podium for the third edition of the Afghan ski challenge. 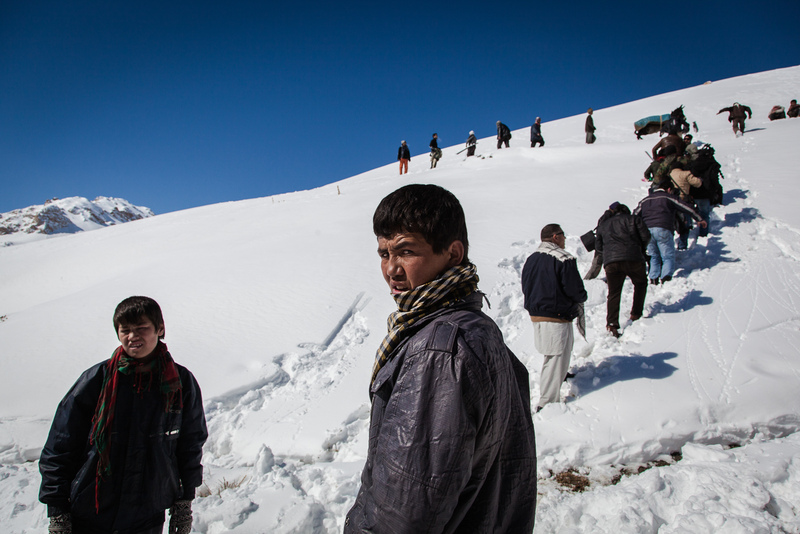 The Afghan participants are better uphill than downhill and have trained all year to beat the foreign skiers. 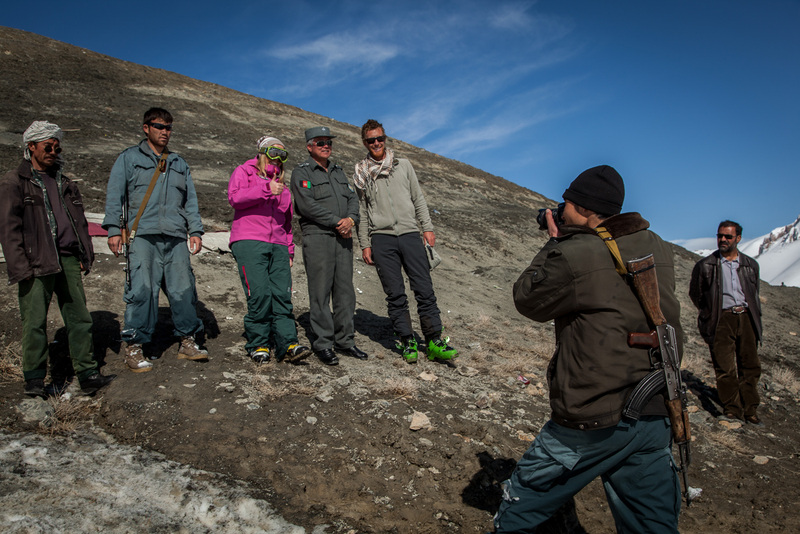 Tourists who came for the afghan ski challenge are picture taken by one of the members of the security services of the race. End of the race. 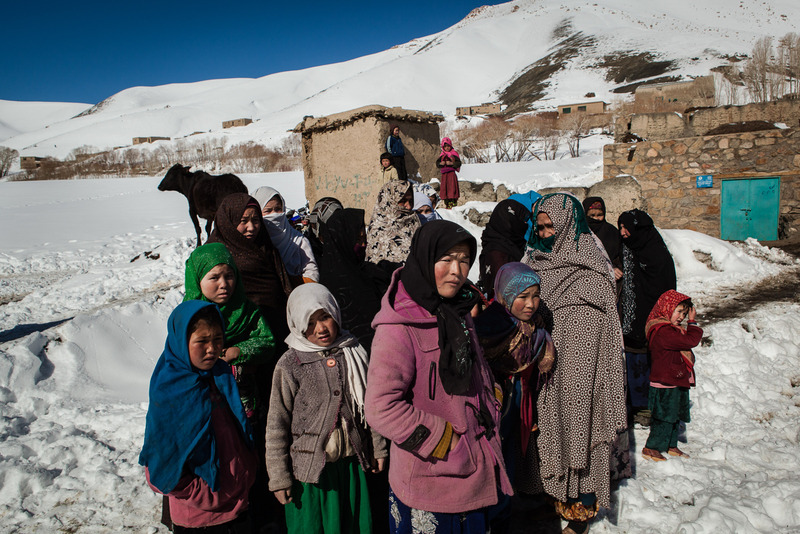 The podium returns to Bamiyan until the next edition. 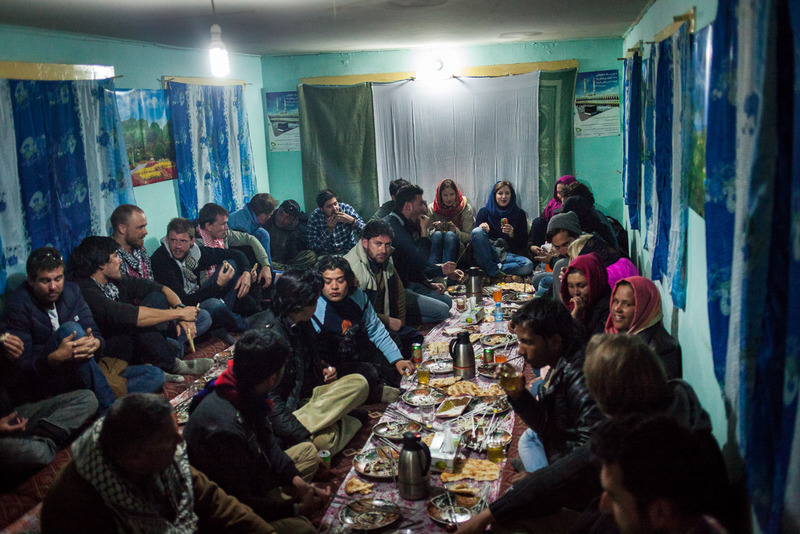 Back to Bamiyan, the participants of the competition meet for a friendly dinner. 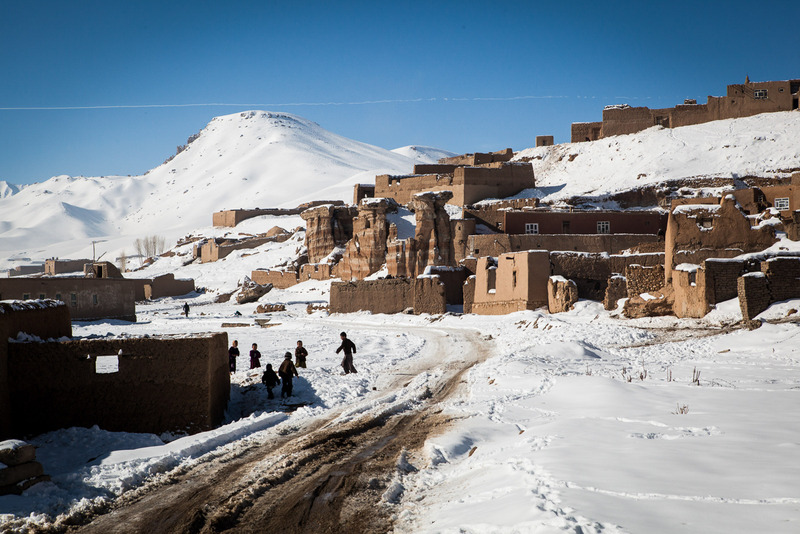 Bamiyan, March 3, 2013. 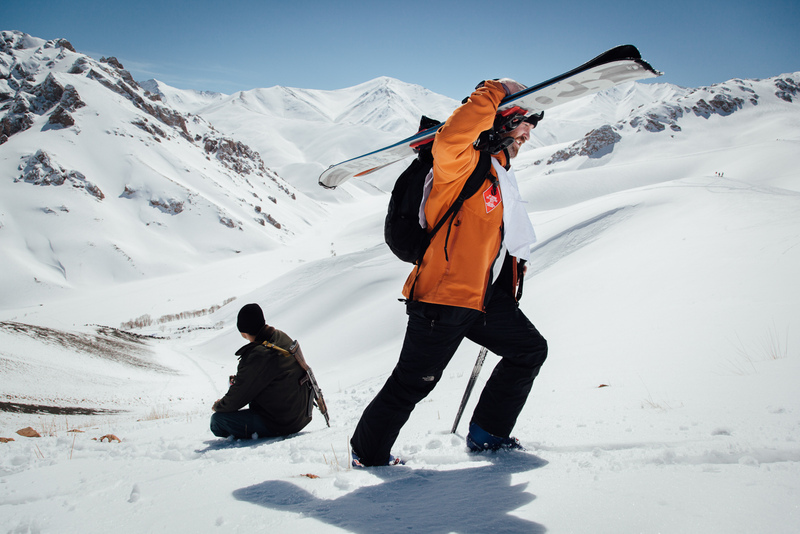 The participants of the afghan ski challenge go back to Kabul.